The Rainforest Reserve will conserve a large area of contiguous coastal rainforest. Much of the Reserve is land that has been logged in the past. Once conserved, it will be allowed to regrow over time into a mature forest. The Reserve will also include groves of existing old-growth forest: pockets of intact ancient rainforest we can conserve if we act now. The temperate rainforest of the Pacific Northwest is one of the most biologically diverse ecosystems in the world, home to some of the tallest trees on Earth. In Oregon, the Coast Range traps moisture as it rises out of the Pacific Ocean, which then condenses and is released as rainfall—80 inches a year on average. 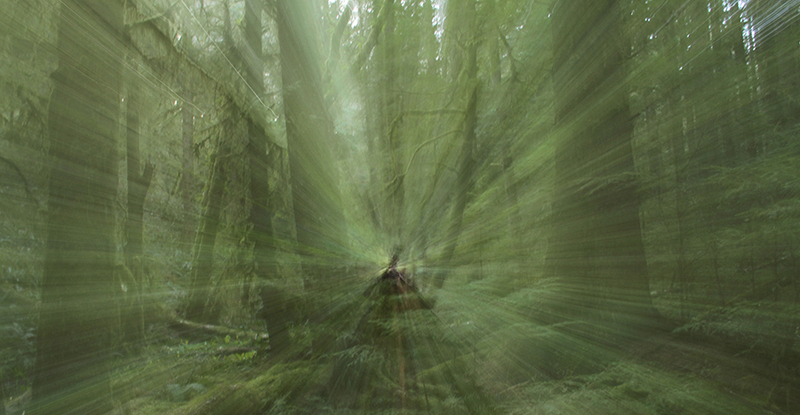 This rain moistens lush forests of Sitka spruce, western redcedar, western hemlock, and Douglas-fir. Over eons many fish, bird, and animal species have come to depend upon the particular structure of old-growth rainforest habitat. Old-growth forests once covered half or more of western Oregon. Since the early 1800s these forests have been in decline and have nearly disappeared from the Oregon Coast. As land uses have changed and the forest has been converted to industrial timber lands, many animals and plant species have struggled to adapt to the changes. The decline of salmon, marbled murrelets, and spotted owls has grabbed headlines and inspired lawsuits. But every species on the coast—including humans—is impacted by the loss of the ancient rainforest. Securing clean drinking water. Many Oregon coastal communities drink water that originates in commercial timberlands, over which they have little or no control. Herbicides and other treatments used to encourage tree growth may enter that drinking water. Sediments from logged hillsides flow into that water, necessitating costly water treatment systems. 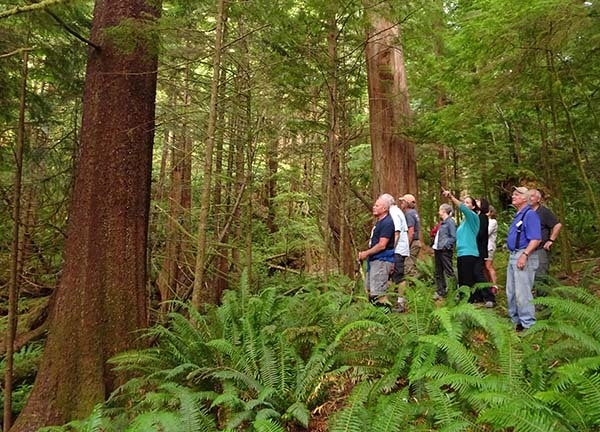 North Coast Land Conservancy helped the City of Cannon Beach create a community forest to control much of the land through which its drinking water flows. NCLC is helping the community of Arch Cape do the same thing. The proposed Rainforest Reserve will protect the actual headwaters of creeks that furnish drinking water to both of these communities. Tempering the effects of climate change. Forests play a critical role in the global carbon cycle by absorbing carbon dioxide in the atmosphere during photosynthesis, storing carbon above and below ground (a process known as carbon sequestration), and producing the oxygen we breathe. Carbon sequestration may be one way to slow or reverse the accumulation of carbon dioxide in the earth’s atmosphere, mitigating the effects of climate change. Helping Oregon’s economy. Millions of people visit Oregon’s state parks every year; total visitor spending related to those visits exceeds $1 billion. Oswald West State Park alone records more than 1.5 million visits a year, with an economic impact on the local community of more than $15 million. * Conserving the natural legacy of the Oregon Coast generates jobs and keeps Oregon’s economy healthy.